Bright, smooth, simple, and unrealistic! This texturepack is the fruit of hundreds of hours of passionate effort put into a beautiful creation. Step into my world and enjoy the experience I've crafted. A core tenant of this pack's design is a lack of high contrast textures that have too much detail and become painful to look at after long periods of time. If you feel that most packs out there, that aren't upgraded variations on the default textures or outright cartoon packs (Ex. 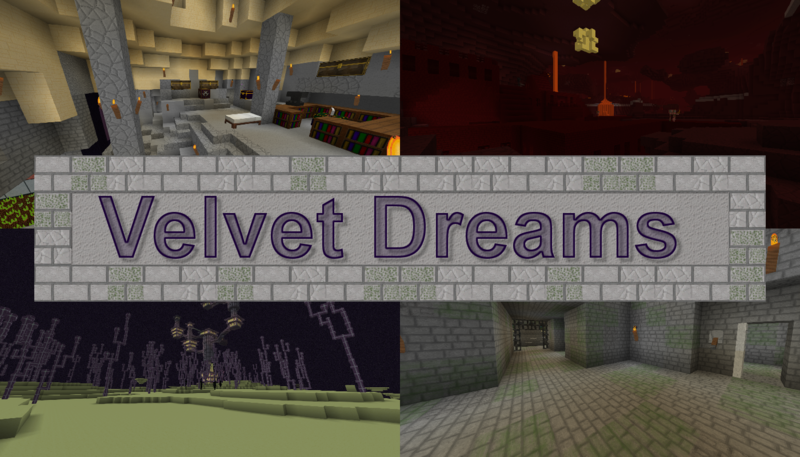 Sphax BD), are too dark or have too much contrast or too much realism then give this one a try. All builds made using vanilla textures should translate well. This pack is perfectly usable on servers of all varieties. I have personally used it for a very long time on any servers I've played on, including the Hypixel network and Skybounds. It may take some time to become acquainted with specific items and textures but I have made an effort to keep items clear and obvious when switching from vanilla Minecraft. Entities are started, a significant portion of the entities are textured but there are still a lot of things obviously missing (Horses, cats, squid, cow, enderdragon, enderdragon, endermite, silverfish, shulkers, polar bear, illagers, and more). I have been inspired greatly by artists like Steelfeathers, Aegeon, 42and19, and many others who I both respect and look up to. My skill as a texture artist has grown substantially as a result of my work on this pack. I create all of my textures using the GIMP because I find it to be the best tool for creating pixel perfect low resolution art. Please feel free to post a comment and give feedback! Published seperate file releases for post and pre 1.11. Basically everything is done in this pack except for mobs plus loads of various texture tweaks that I'm sure will come with time. Next I will finally be attempting to finish off the entities folder.